When treatment for a torn rotator cuff uncovered two underlying heart conditions, friends urged Alan Kostrzewa to go to Mayo Clinic for help getting back to his highly active way of life. Concerned by health disparities in African-American communities, Dr. LaPrincess Brewer developed a program that partners with local churches to foster healthy lifestyle choices and improve heart health. With prompt medical attention and expert care, Dave Andros survived sudden cardiac arrest. Now he’s eager to share his story with others to promote heart health. Heather Lister knew she had an abnormal heart valve. What she didn’t know was that this defect put her at risk for a much more serious problem. 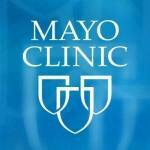 But her Mayo Clinic care team gave her the information she needed to make a decision on the best way forward.